peacock bass fishing here in South Florida. 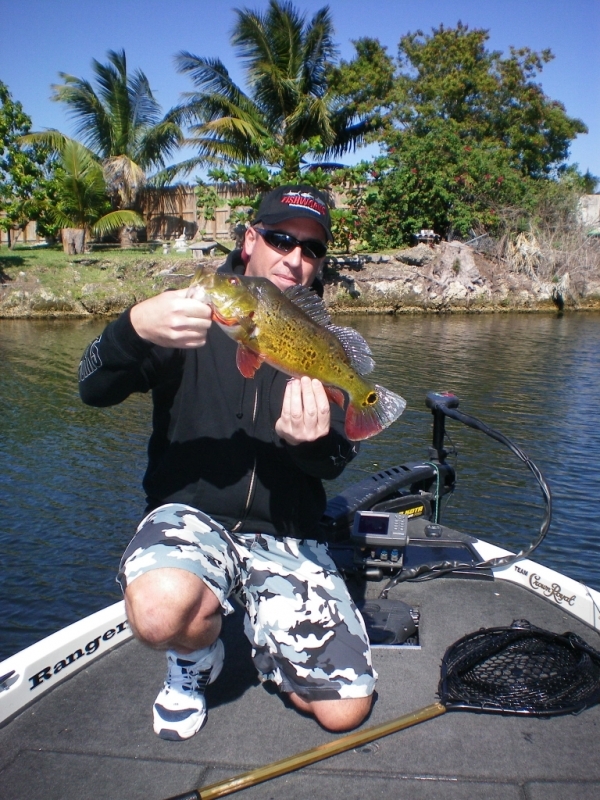 David is an avid fisherman and once he figured out how the where biting there was no stopping him. By the end of the day, he boated 32 fish up to 4 lbs and a couple of really nice pictures to take back home. What a great day on the water it was today, it was amazing how well David adapted to the Florida Peacock bass!